Physical Cosmology can be split into 2 major branches: the detailed study of how structure formed; and the investigation of the parameters which describe the entire Universe. My research involves several different parts of both of these branches. The most extraordinary thing that we have been learning about cosmology in the last few decades is that there are things we measured which can give us direct answers to questions about the large scale nature of the Universe. Right now these quantities are being measured and we are in a period of rapid growth in our understanding of cosmology. Many of today’s questions appear answerable on a timescale of years – and this is what makes cosmology currently so exciting! We know that the Universe has close to flat geometry, and is dominated by a mysterious dark energy, with most of the matter also made of some as yet unknown form. The early Universe was very smooth, with low amplitude density perturbations of the sort generated in the inflationary picture of the early Universe. And we know that those perturbations grew through gravitational instability to make all the structure that we seee in the Universe today. Galaxies are the fundamental building blocks of this structure, but the details of galaxy formation are not yet understood, because it involves a huge range of physical processes on a variety of length scales and time scales. Measuring the dozen or so cosmological parameters cannot typically be done without also measuring quantities that depend on galaxy formation and evolution. Hence the study of the two main branches of cosmology are always intimately connected. With the parameters being measured to greater and greater precision, and the physics of galaxy formation being dissected in ever increasing detail, we are still left with many unsolved puzzles. In particular: why do the parameters have the values that they do? what are the dark matter and the dark energy? did inflation really happen and can we learn anything about it? are there basic ingredients currently missing from the standard cosmological model? when exactly did the first stars form to end the cosmic dark ages? what is the relationship between supermassive black holes and the galaxies that they form inside? what will be the far future fate of the Universe and of our small part of it? The development of structure in the Universe is a complex and multi-faceted topic. Tackling the biggest questions in the formation and evolution of galaxies and clusters of galaxies requires a combination of observational and theoretical approaches, covering the full range of the electromagnetic spectrum. A crucial and developing window is in the sub-millimetre part of the spectrum, where one can readily study star-forming galaxies at very early times. Because of this I have become involved in several projects and instruments which focus on using these wavelengths in order to conduct ambitious, deep extragalactic surveys. 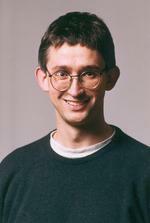 Dr. Scott will be doing a talk on his work with the Planck satellite. Join us to greet him at the Sunshine Coast Arts Centre, 5714 Medusa St, Sechelt, BC, at 7:30 PM on 14 November 2014. Dr. Scott’s talk is: “Planck, the Universe, and Everything”. The Planck satellite has completed its mission to map the entire microwave sky at nine separate frequencies. This enables us to learn about the physics of the interstellar medium in our Galaxy, and to remove this foreground emission in order to extract the cosmological information from the background radiation. Planck’s measurements lead to an improved understanding of the basic model which describes the Universe on the very largest scales. And although we can now define the Cosmos in terms of a few basic assumptions and a handful of numbers, of course many questions remain unanswered. Planck analysis continues, with the release of polarization information expected before the end of 2014, enabling new science issues to be addressed. 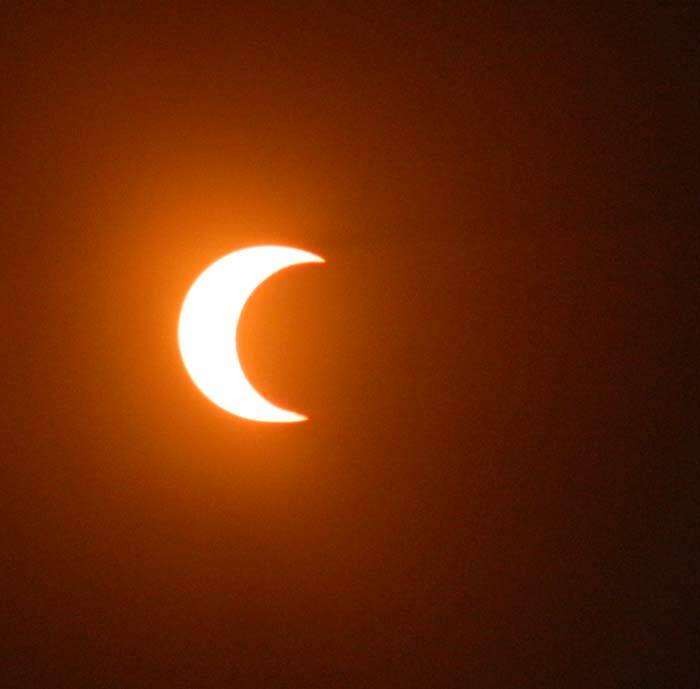 totality around 10:20 am. This means getting there at least the day before. 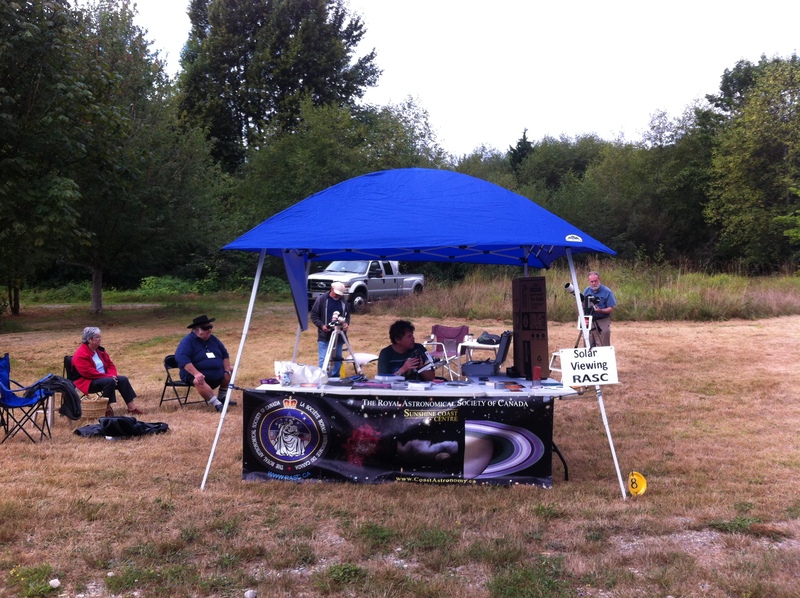 OSP organizers are planning for there biggest year ever at the star party. book all up and accommodation close to the center line will be harder to find. 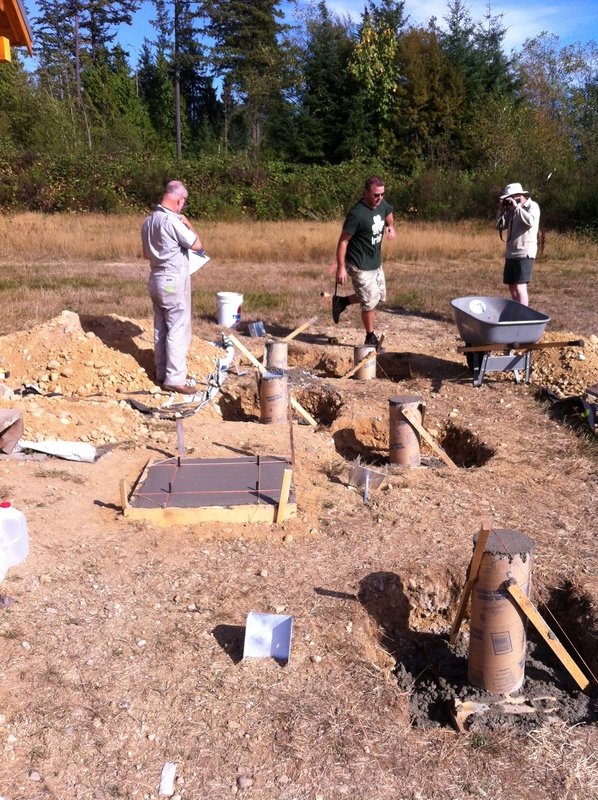 On the afternoon of 9 September David, Colin, Charles and Mike got the concrete in the forms for the observatory deck. Check out the photo album page for more photos. According to spaceweather.com, there is the possibility of auroral activity this evening due to a CME delivering a glancing blow to Earth today. 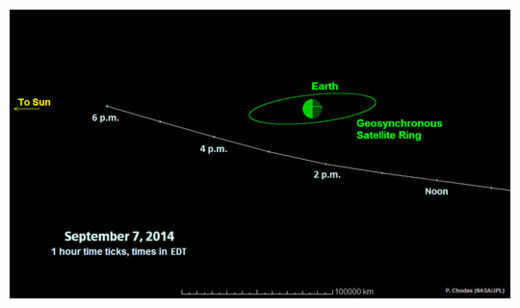 Also, according to the same website, a newly discovered asteroid, 2014RC (a house-sized asteroid only discovered on August 31) will pass Earth within the orbit of geosynchronous satellites on the morning of Sunday (Sept. 7) as it passes through the constellation Pisces, which will be 40 degrees above the southwestern horizon at 5 AM. On the 3rd of September, Stephen, Charles and I presented “an introduction to astronomy and our club” to an audience at the Gibsons Library. Afterwards we set up 3 scopes to look at the moon, double stars and Saturn. This presentation represented the last event on our summer schedule, and what a summer it has been. We held outreach events at Hackett Park, the Botanical Garden, Porpoise Bay, Camp Olave, Halfmoon Bay and beyond. We were lucky to have good skies for most events, whether daytime or night time. We were especially fortunate to have had an active sun with sunspots and prominences galore all summer. Charles counted the numbers who looked through the scopes at these events and they were impressive: 113 Girl Guides plus staff at Camp Olave, 148 for Canada Day in Hackett Park, 174 for Half Moon Bay, 465 at Sea Cavalcade, 229 during the day at Porpoise Bay, and 283 at the Botanical Gardens. We conduct these events because we want to share our enjoyment of this hobby with members of the public. We also get a lot of personal satisfaction from the enjoyment we hear expressed by many of the viewing public. One of the formal objectives of the club is indeed “to provide instructional and educational seminars, lectures and presentations to the public on astronomy and special astronomical events”. Our busy summer is evidence to me that we’ve been fulfilling this objective! 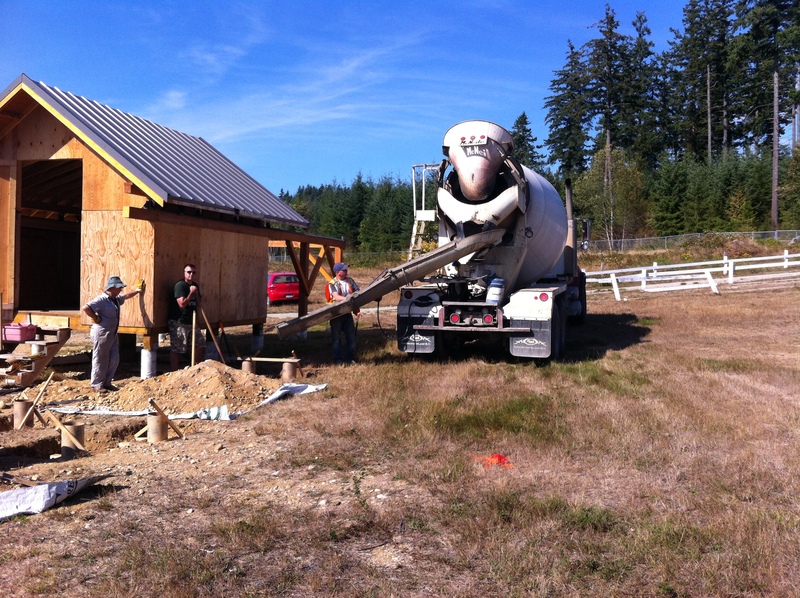 The observatory project is moving ahead, slowly but steadily. The deck design has been finalised and a recent work party dug out the holes for the forms. Thanks to David for making the wooden forms. The deck will be built this month. All the electronics and power supply components/cabling have been purchased and or installed and the conduit installation is started. We had a great piece of news last week when Swansons offered to donate another cubic metre of concrete for the deck – Thank you Swansons! September is here and our club is about to start a new season of meetings and events. Our membership is standing at 47, the highest it has been since the formation of the club. We have a new web-site, an active social media presence and a full calendar of high quality monthly speakers. A TV show with Coast TV is in the works. The observatory will be functioning soon. I’d like to offer a great big thank you to you all for your continuing support of the club, especially to those who have been directly involved in making it all happen!! Hope to see you all on September 12th when Dr Ludo Van Waerbeke, will be speaking about Dark Matter and Dark Energy. 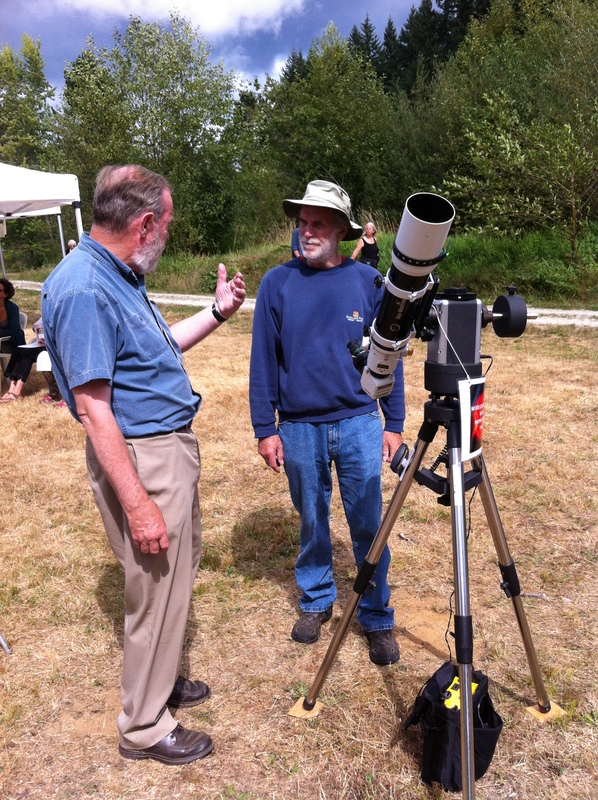 At the Sechelt Botanical Garden this afternoon we had 283 people visit our booth and look through our solar scopes. Clouds hid the sun for the first two hours but then came out to reveal some impressive solar flare activity. Check out the album on the Photo Album page for more pictures.